Lincoln Log sukkah. With steps for Bubbe. One piece of paper, folded. 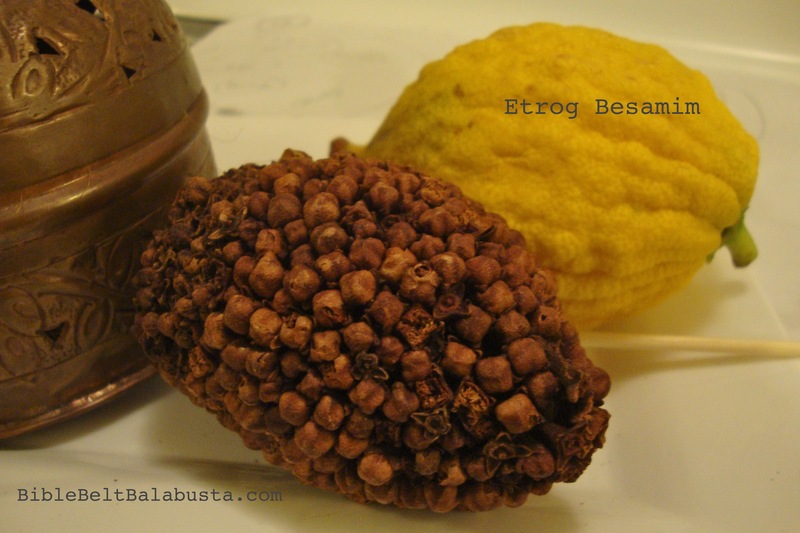 Add herbs for fragrant roof. 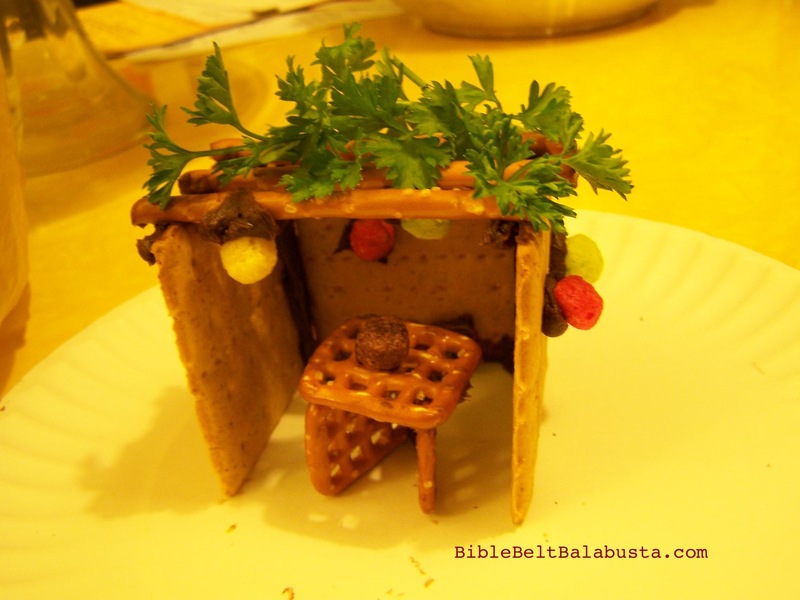 Here are a few easy tips about making an edible sukkah from graham crackers and pretzel sticks. 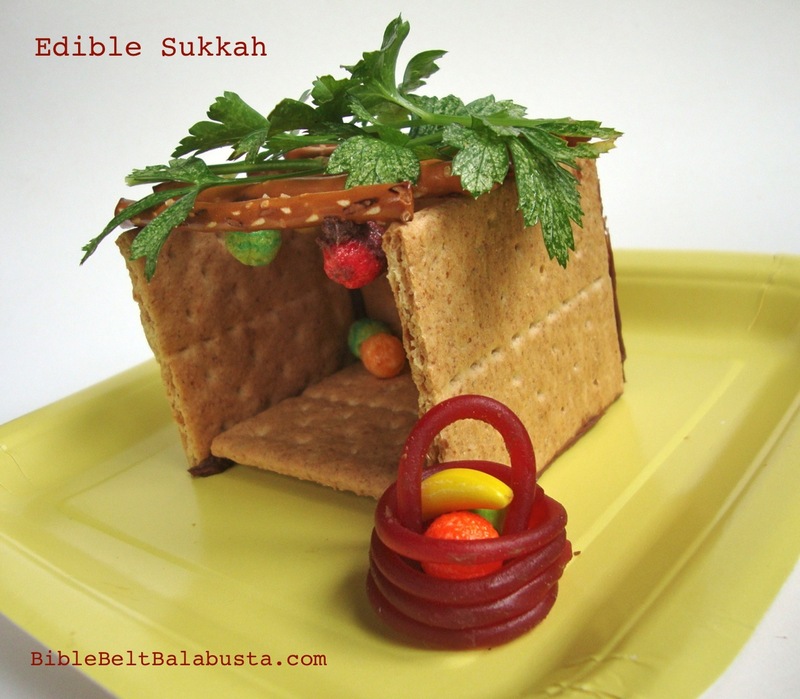 Way easier than my meticulous post with step-by-step instructions and photos from two years ago: Make a Kosher Edible Sukkah for the obsessively organized. Construction: Honey Maid graham crackers are ideal. 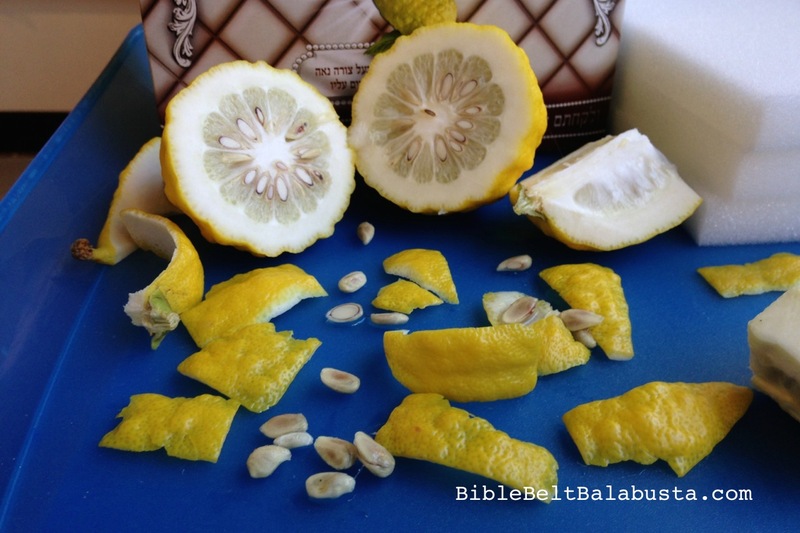 They break evenly into squares just the right size for building a cube sukkah on a dessert plate. 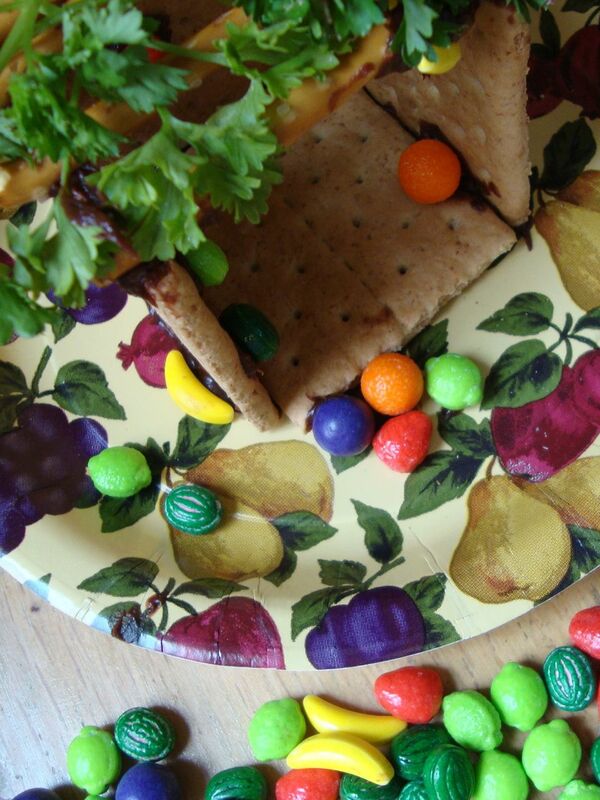 Use the whole rectangle (5″ long) if you are building on a dinner-size paper plate. Yes, they are kosher. Buy a bunch and use them for Sukkot s’mores later. Generic brands crumble when they break, and you will end up with a box full of rejects. 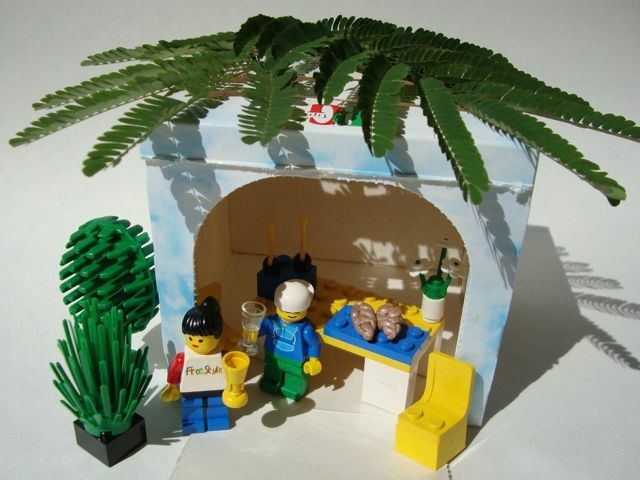 Our action figures now have a model sukkah well-appointed for hospitable gatherings. Actually, we have several, because it’s hard to stop once we start. 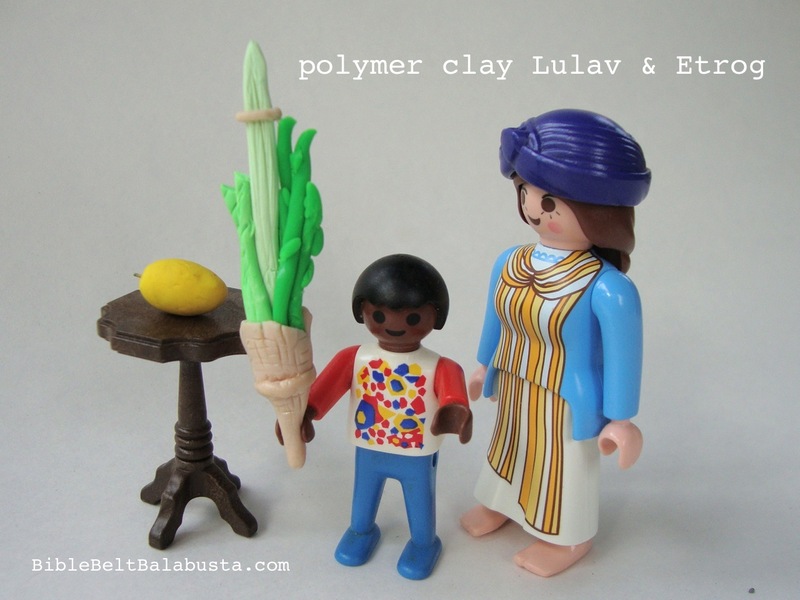 Yesterday’s post tried to outline a classic craft, a tabletop or model sukkah made from tissue boxes and shoe boxes, and also some ideas for free-builds using Legos, Lincoln Logs and other construction toys. 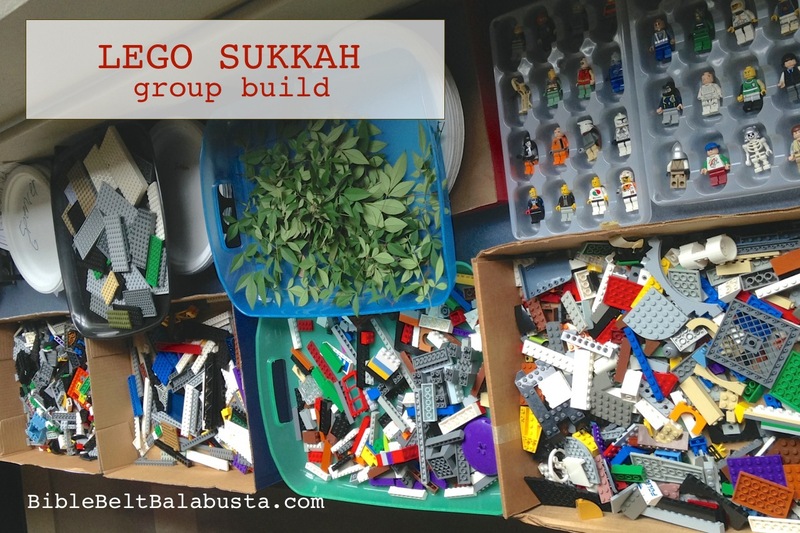 At Sukkot, we are commanded to dwell in a sukkah. This ideal may be out of reach for many, but it is definitely do-able for dolls. 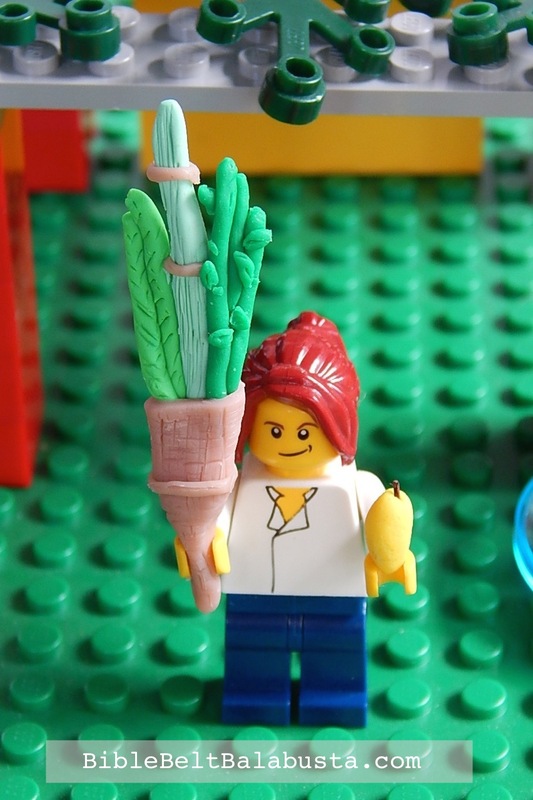 Any action figure can be an honored guest or hospitable host/ess in a tabletop or model sukkah. 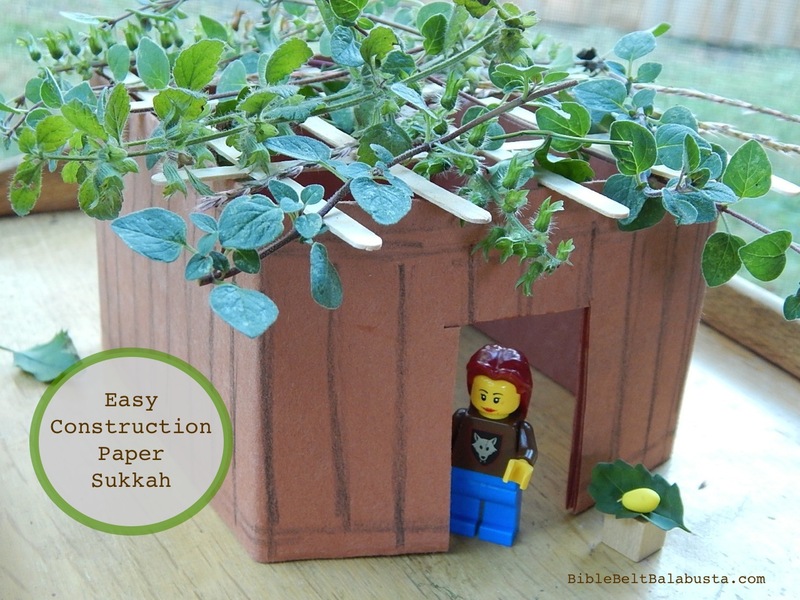 A model sukkah is an easy, fun, and classic way to explore Sukkot with kids. 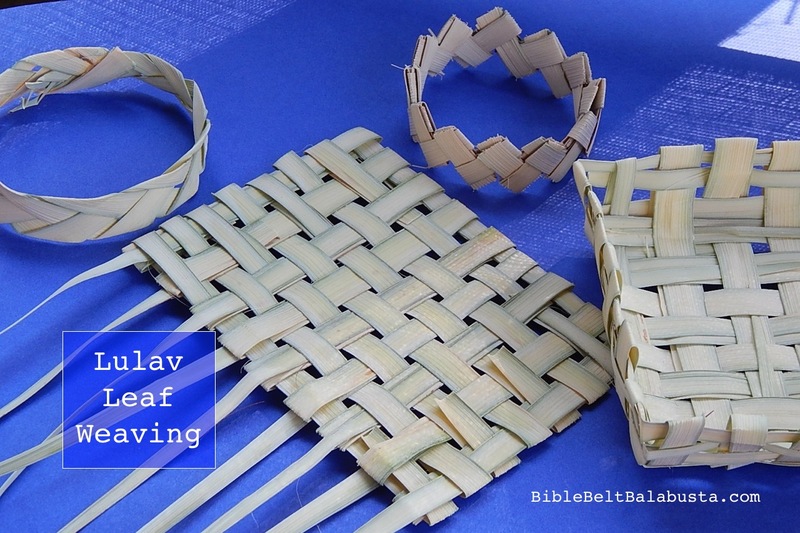 Using whatever materials are already at hand, you can create a sukkah in miniature, play with it all week, use it as a centerpiece, and along the way take a look at the customs of the holiday and the rules of sukkah construction. Not sure about the details? 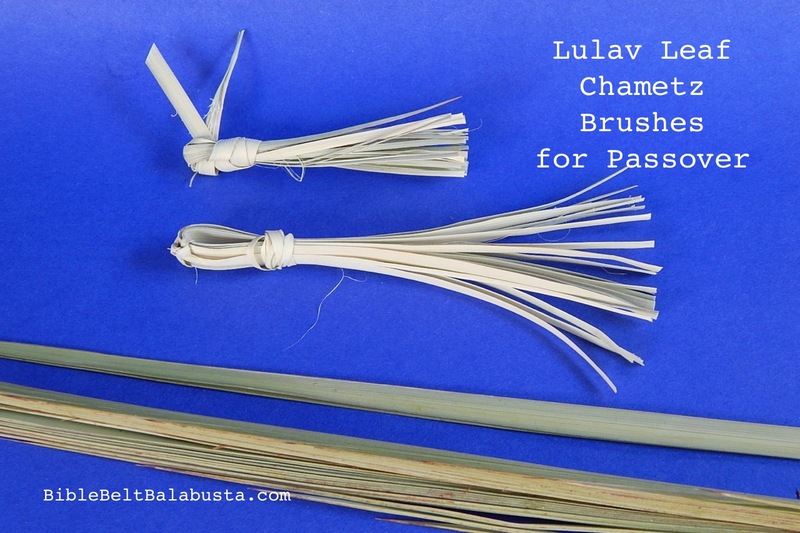 Brush up at MyJewishLearning’s Sukkot page. 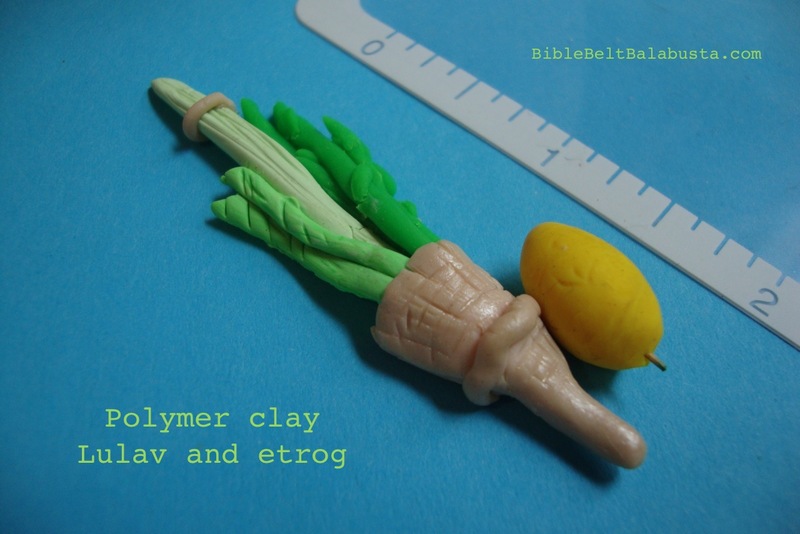 In the interest of those who are in charge of a “Make Your Own Edible Sukkah” project, I offer this record. Learn from my experience, and add to it, if you can. If your project is not conducted in a kosher building, you needn’t pay so much attention. For you awaits a world of candy, a universe of sugary confection in endless variety. For the rest of us, alas, a ghetto of fruit gums. And it is for the rest of us that I type my notes; for the folks creating edible sukkahs in a kosher building and, even more restrictive, in a kosher building during the first two days of Sukkot, when “work” is not permitted. 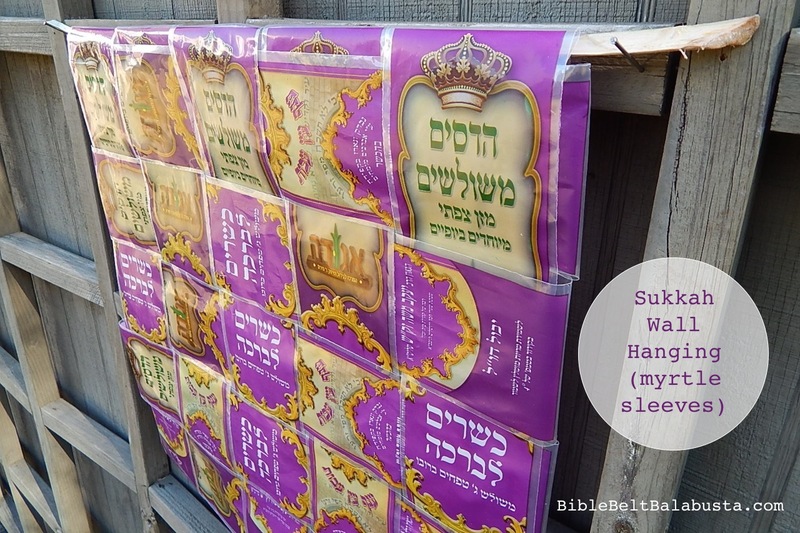 Building a kosher sukkah on a holiday is easy and not so easy. 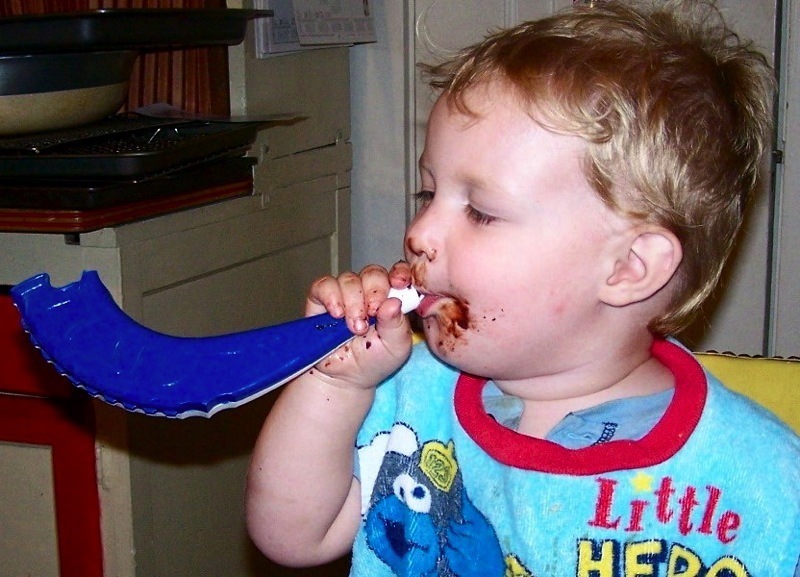 A propitious day to start a blog: Simchat Torah. The fact that I’m on a computer during a festival, and the fact that we utterly forgot to go to synagogue last night to celebrate the festival ought to clue you in to the fact that I am not strictly “observant.” This morning, to try and make up for last night’s gaffe, my husband and I hauled out all our toy torahs and our one battered Simchat Torah flag and marched around the house (inside. It’s cold out there). The toddler totally bought it, but the teenager excused herself to another room. We do what we can. We do what we can. This may be my mantra, when I remember it. To console myself, I remember that I did bake a chocolate cake in honor of Shemini Atzeret just days ago. 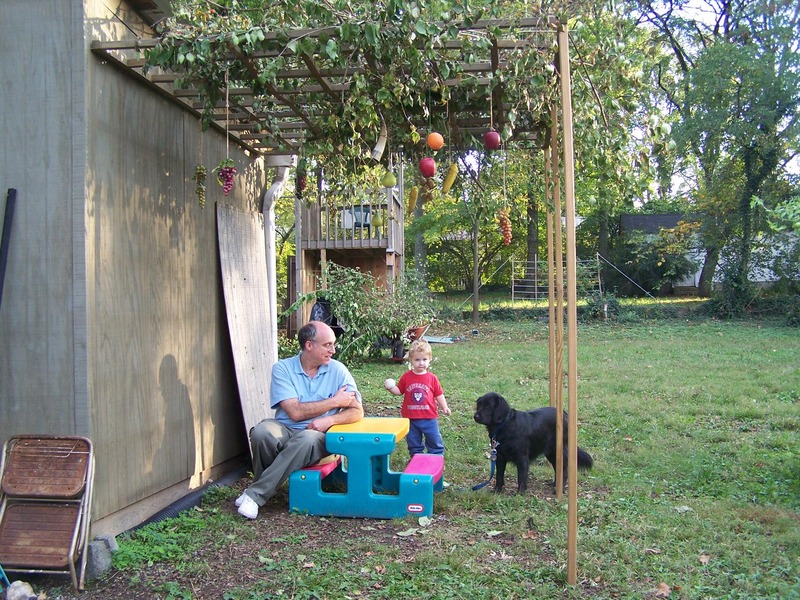 Not to mention the presence of the Sukkah in the back yard (and almost finished). And the homemade Yom Kippur break-fast. And the round, raisin challahs for Rosh Hashana. And the Star-of-David shaped “birthday cake to the world.” And the orchard-picked apples in Israeli honey, too. So, if I accidentally forgot about going to shul for the tenth time in a week, excuse me.